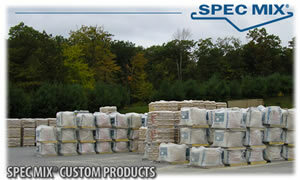 Package Pavement offers our manufacturing expertise for toll packaging. With over 60 years of dry packaged goods experience, we have developed quality control and manufacturing procedures to ensure consistency batch after batch. Our manufacturing plants in Stormville & Ravena New York, feature state-of-the-art batch controls and reporting, in-line material testing, sieve analysis and color testing to ensure the manufactured product meets your exacting specifications. Whether you are looking to package, sand, cement, gravel or a combination of proprietary ingredients, we will be there to create a quality consistent product. Delivery of finished product or F.O.B. Contact us at (845) 221.2224 for more information.